African safari holidays offer a lot to the first time and seasoned traveler, as there are a good number of destinations to choose from. Africa safari adventures can be combined with a beach stay, making for a both exciting and relaxing holiday. Kenya is renowned as the ‘heart of the African safari’ and is endowed with a wide variety of attractions from diverse wildlife, endless savannas, the Great Rift Valley, to the postcard-perfect beaches on the Indian Ocean. The country is the gateway to East Africa, hosting the largest airport in East and Central Africa. See more on Kenya travel. Mount Kenya (5,199 m), Africa’s second highest mountain offers easy or challenging ascent with spectacular scenery. 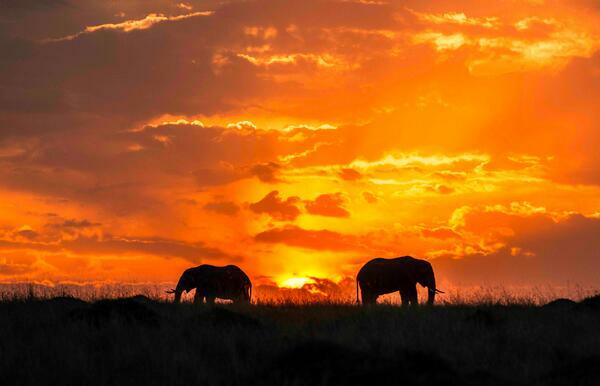 It’s one of the continent’s most sought after safari destinations. Some of the wildlife parks one can visit during a Tanzania safari include Serengeti National Park, Selous National Park (one of the largest wildlife parks in the world), Lake Manyara National Park and Ngorongoro crater. Adventurers can attempt climbing Mount Kilimanjaro (5,895 m), Africa’s highest mountain. Uganda is a great place to go gorilla tracking, as the country hosts more than half of the world’s population of mountain gorillas – about 300 animals. Other attractions in Uganda include lakes that cover more than a sixth of the country, snow-capped mountains, forests and waterfalls. Egypt has a timeless appeal that has drawn millions of tourists over the centuries. The most popular pyramids in Egypt are found in Giza, near Cairo (the capital), and are regarded among the largest structures ever built. It’s one of the leading holiday destinations in the continent. The archipelago is made up of 115 islands spread across an area of more than 400,000 sq km. The largest island in Seychelles is Mahe. Other islands include Praslin, which is famous for beautiful beaches, especially Anse Lazio – which has consistently been voted one of the best beaches in the world, La Digue, and Cousin. An African safari holiday in South Africa takes you to some of the continent’s top wildlife parks including the renowned Kruger National Park, Addo Elephant Park, and Shamwari Game Park. 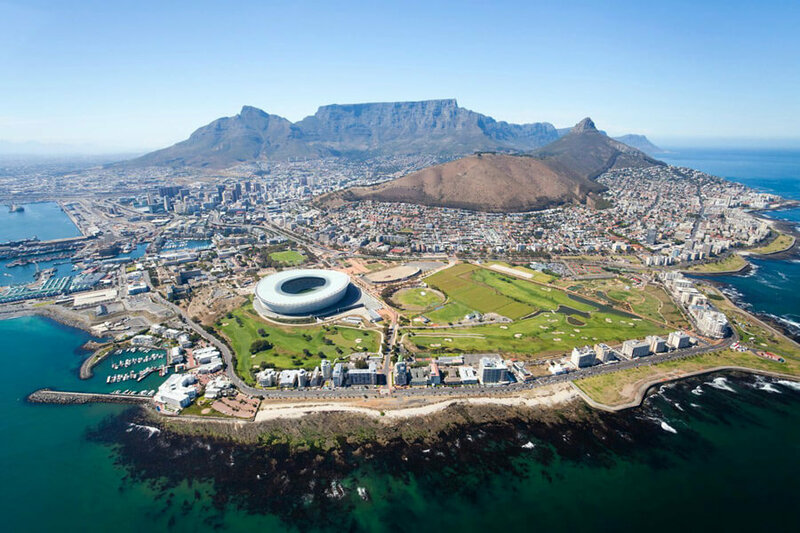 Beach tours and Table Mountain hiking adventures also feature prominently among the attractions of SA. There are tailor-made holiday packages to South Africa that can be customized to meet individual requirements. Table Mountain near the southwestern tip of South Africa. It’s 1,087 meters high and overlooks Cape Town and Table Bay. Ethiopia is endowed with high mountains, rivers, depressions and deserts. The Simien Mountains National Park and Bale Mountains National Park offer a lot of enchanting trekking paths, a wide array of wild animals and bird life seen nowhere else in the world. The Danakil Depression with its sulphur fumaroles and lunar-like landscape offers numerous opportunities for extreme adventure. Mauritius is an ideal vacation destination for honeymooners or for a romantic retreat. The country is endowed with endless white sandy beaches with its coastline being roughly 330 km. Besides beautiful beaches, Mauritius offers a wide range of wildlife that can be viewed at its several game parks. Africa safaris in Zambia are popular, as the country has great wildlife parks and shares (with the neighboring Zimbabwe) several of the major attractions in the region including the Victoria Falls, Zambezi River, Lower Zambezi National park, and Lake Kariba. The country boasts some of the most fascinating game parks in the world. These include Namib-Naukluft Park, Etosha National Park, and Fish River Canyon National Park. The best time for an African safari in Namibia is during the dry season (April thru November) when large numbers of animals migrate towards the waterways.